The plants are looking hot man, nice! Had some melting of my lago grande and a other syn. or two, removed my peat from the filter, advised to add more calcium so did it. 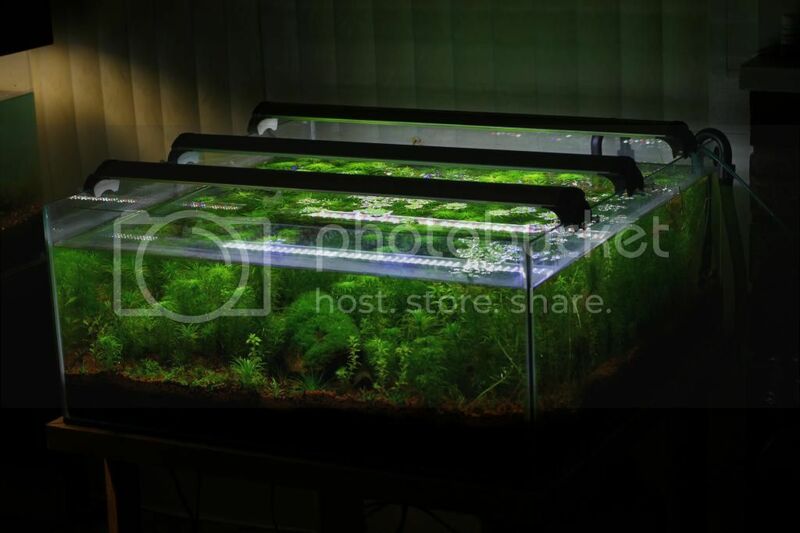 Pics current 6/21/15, advised to also water change but I'm not going to do that for a few days. Tank has become way more balanced. Reds could be way more, purps are good though. If hadn't already stated, running two dual t5's now instead of 3 finnex planted plus, liking them better. co2 is via reactor over atomizer now. I am really enjoying things now, seems so much more simple, and enjoy watching things change and grow. Maybe throw some moss in there? Good growth!